Koolfog Inc., has made an indelible impact on residences and commercial properties throughout the Coachella Valley region. When people look for misting in Palm Springs they find us. But that means that we cover the Palm Springs area including Cathedral City, Rancho Mirage, Palm Desert, Indian Wells, La Quinta, Bermuda Dunes, Indio and throughout the entire valley. Guests of the region can’t miss the influence and impact misting systems, misting fans and fog features add to their experience in the Desert. 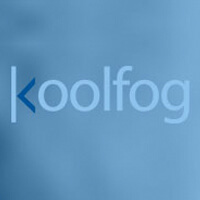 In addition to providing misting in Palm Springs, Koolfog also uses the region as a testing ground for new product development – to test the reliabilty of our systems in one of the harshest climates around. Spa Resort and Casino draws in it’s guests for gaming, fun, sun, and relaxation! Outdoor misting and cooling is essential to providing guest experiences that keep them coming back. 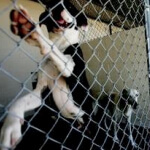 The Palm Springs Animal Shelter uses misters for cooling to reduce heat stress and provide a comfortable environment for their animals and employees. Aunt Effie’s Garden Is an outdoor nursery and specialty garden store located in Palm Springs. They utilize misting to keep their inventory from withering in the desert heat as well as to enhance growth with atomized mist nozzles. Outside the Escena Grill at the Escena Golf Club in Palm Springs is an absolutely stunning ambience and an equally clean & aesthetic use of Koolfog misting fans that don’t detract from the view. 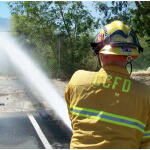 Koolfog, Inc. is proud to have and serve the Cathedral City Fire Department as our misting systems partner. As you can imagine, keeping these heroes cool is a task we take seriously. As a high-end outdoor center, The River in Rancho Mirage hosts restaurants, movie theatres, retail shops and thousands of year-round guests enjoying outdoor concerts and social gatherings. 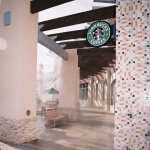 Find Koolfog misters at Starbucks, P.F. Chang’s, Fleming’s, Yard House, and more!! 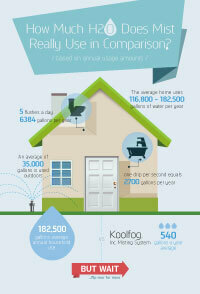 Throughout Palm Desert, you will find Koolfog misting systems and fog effects wherever you look. Restaurants such as Burgers & Beer, the Fire Cliff, and Pacifica at the Gardens on El Paseo are just a few customers that use our misting systems year round. During summer months when many retailers “take a break”, misters are a good indicator that these establishments are open. Golf Courses and resorts such as the Classic Club and Big Horn Golf Resort use misting on their clubhouses, cart drop-off areas, and grille patios. Some of the finest hotels in the world use Koolfog misting systems to attract meeting planners, create special event environments, and keep guests comfortable and cool. The Hyatt Grand Champions and Renaissance Esmerelda are two such fine hotels that use misting systems and fans to ensure long lasting memories. The La Quinta Fire Department is enjoying Koolfog misters to keep their fire-fighters cool. We are happy to provide a much needed comfort space for our men in uniform to enjoy. Think you can’t enjoy dining al fresco in the desert heat? Well-known restaurant, bar, and grilles, The Cliff House and Las Casuelas provide excellent food and service on their misted outdoor patios. 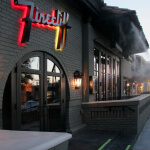 Come visit one of these spaces for great ambiance and a cool and refreshing outdoor eating experience. Old Town La Quinta is home to our weekly Certified Farmer’s Market, host of Art Under the Umbrella’s events, as well as Art & Wine events presented by the La Quinta Arts Foundation. Artist Studios, restaurants, wine bars, shops and professional services are also housed in the town squares of this community. Misters have been installed on the walkways throughout the development to attract and cool customers and tourists as they stroll the pretty streets and enjoy the arts and culture of the area. 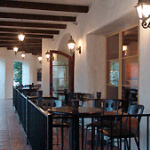 In addition, establishments such as the The Wine Bar at Old Town in La Quinta uses Koolfog misting systems to provide extended seating areas outside.